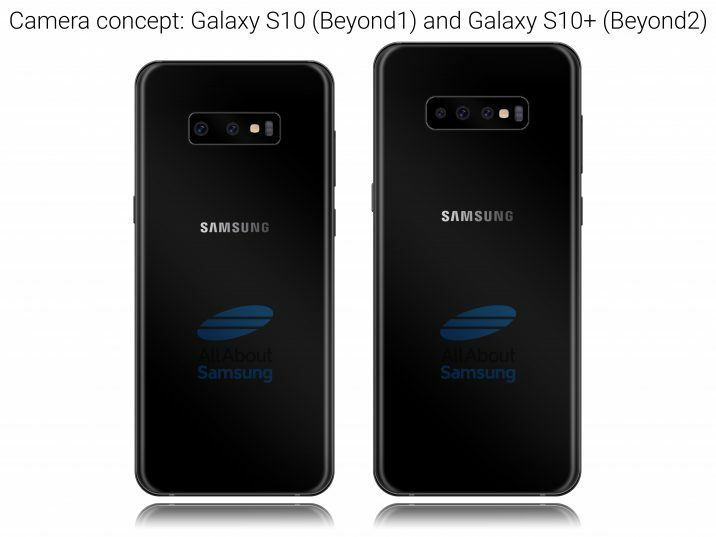 Recent reports have said the Galaxy S10 might come in three different sizes, with the largest one possibly sporting a triple camera setup at the back. Thanks to the Huawei P20 Pro, the benefits that can be achieved by having three cameras on a smartphone have been made clear (though Huawei also uses AI algorithms to further improve photos), and Samsung is said to be working on a competing setup for the Galaxy S10 camera. Now, an exclusive report from AllAboutSamsung is offering some technical details on the S10’s triple-camera setup. According to the publication, the Galaxy S10’s top model could have the 12-megapixel Dual Aperture lens of the Galaxy S9 as the primary rear camera, with a 123-degree 16 MP (f/1.9) wide angle lens flanking it on one side and a 13 MP f/2.4 lens on the other. It’s possible the mid-sized Galaxy S10 could also come with the “super wide-angle” lens instead of the telephoto lens seen on the Galaxy Note 8 and Galaxy S9. That might not sit well with those who like the ability to zoom in on a subject with a single tap, while pleasing those who prefer to capture more of a scene in one take. This wide angle lens won’t have either autofocus or optical image stabilization, much like the setup on LG’s flagships. Seeing as how Samsung’s current flagship cameras already capture a wider scene than most of the competition, getting rid of the telephone lens would be fixing a problem that doesn’t really exist. We’re guessing that’s where the triple-camera setup would come in handy, though, as far as giving consumers a reason to opt for the biggest Galaxy S10 model is concerned. As AllAboutSamsung notes, these details aren’t final and could change by the time the Galaxy S10 arrives. But it’s interesting to hear about the kind of changes the tenth-anniversary Galaxy S flagship could bring on the imaging front, and we can expect to see more rumors about the same surfacing online in the months to come. I’d much more prefer a wide angle that telephone. You could can use software to get the blur in portrait photos, but nothing replaces a good wide angle lens for those dark churches. Shame about it not being stabilised..
why noone speaks about posibillity of 4K resolution? i need that for VR. And also battery?